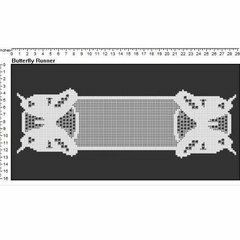 This is a filet crochet pattern for a table runner or dresser scarf with two large butterflies at the ends. This can be made into a runner or scarf or would look great on the back of a couch. Can be worked with various threads. The picture shows how it will look if worked correctly. It will be an easy matter to lengthen or shorten the pattern to make it the exact length you desire. 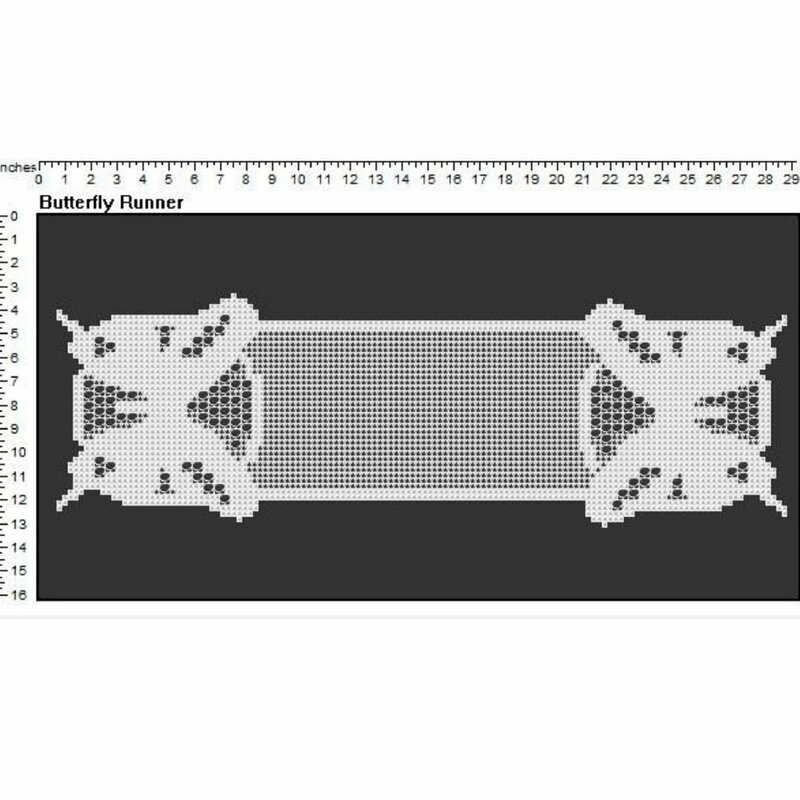 Using Crochet Cotton size 5: width = 38.5" x 13.6"
Using Crochet Cotton size 10: width = 32" x 10.8"
Using Crochet Cotton size 20: width = 30.6" x 10.3"
Using Crochet Cotton size 30: width = 29.2" x 9.9"